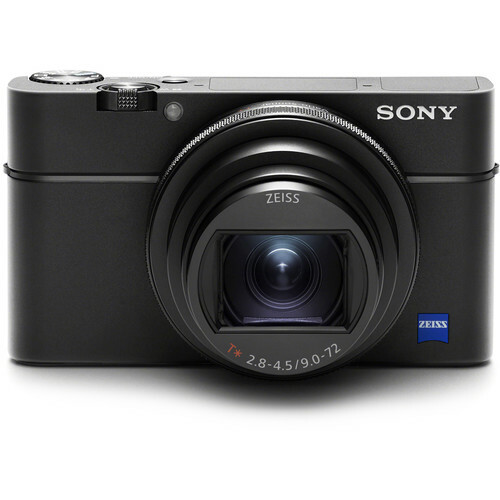 Offering longer reach and improved performance, the Cyber-shot DSC-RX100 VI from Sony is a pocket-sized powerhouse characterized by an impressive lineup of stills and video capabilities. Distinguished in the series by its extended zoom, the RX100 VI sports a 24-200mm-equivalent ZEISS Vario-Sonnar T* lens covering wide-angle to telephoto focal lengths for greater shooting flexibility. Leveraging the most from the updated lens design is the 20.1MP 1" Exmor RS CMOS sensor, along with an improved BIONZ X image processor, for fast shooting performance to 24 fps, high sensitivity to ISO 12800, and UHD 4K video recording. 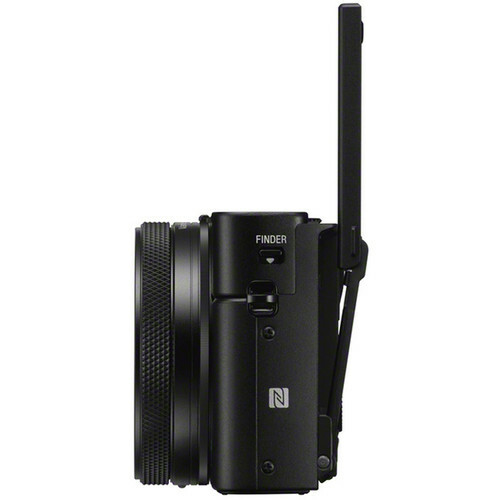 The sensor's design also provides a 315-point hybrid AF system for quick and accurate focus performance and subject tracking in both stills and video modes. 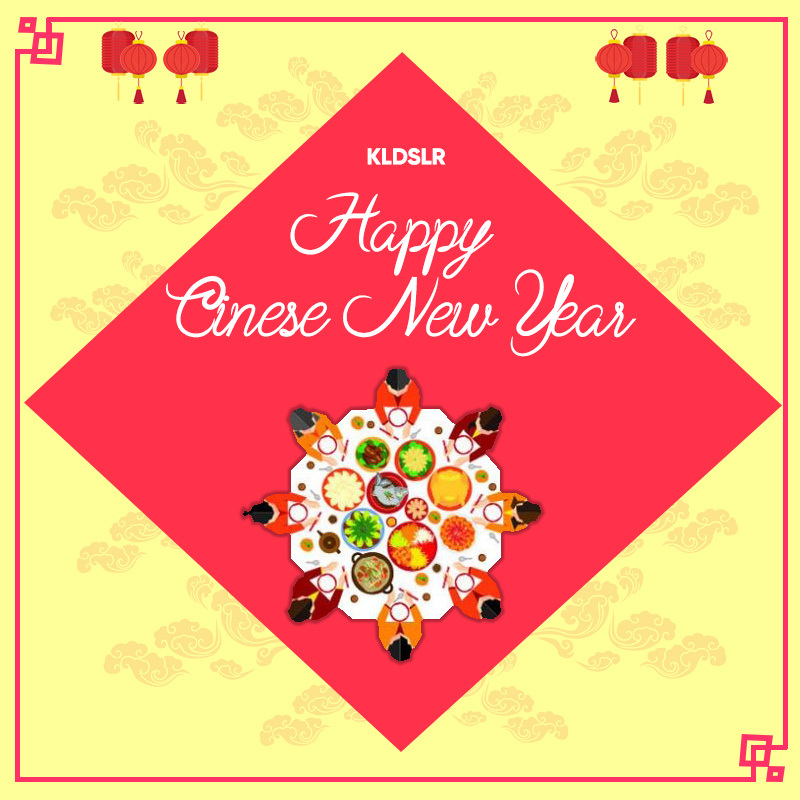 A stacked design and front-end LSI also contribute to quickened operation and enhanced image quality. Video performance has been upgraded through the incorporation of S-Log3 and HLG gamma settings, and High Frame Rate shooting allows you to record at up to 960 fps for slow-motion playback. Even with the integrated 24-200mm, the form factor of the RX100 VI remains nearly as compact as ever, but still without sacrificing on functionality. A pop-up 2.36m-dot OLED electronic viewfinder is a sleek means for eye-level viewing or, alternatively, a 3.0" 921.6k-dot LCD touchscreen can be used. The LCD features a tilting design to support working from high and low angles and its touch capability permits the use of Touch Focus and Touch Shutter functions. The camera also sports wireless connectivity for sharing imagery to a linked mobile device or for embedding location information from your smartphone. 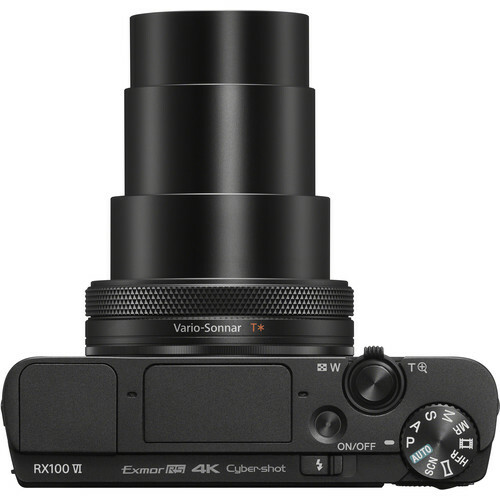 Utilizing an advanced stacked structure with an integrated DRAM chip, the 20.1MP 1" Exmor RS CMOS sensor of the RX100 VI is able to deliver outstanding image quality at up to ISO 12800 with incredibly fast performance. This sensor stacks the pixel area, a high-speed signal processing circuit, and memory in order to increase data throughput by over five times and deliver features such as 40x super slow motion, an Anti-Distortion shutter, UHD 4K video, and more. 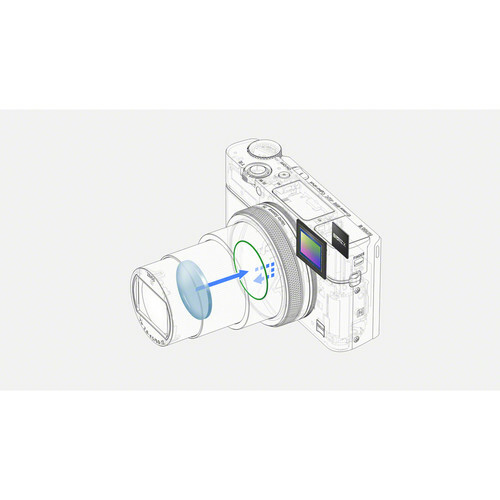 This 1" sensor also has focal-plane phase-detection AF points for faster, more precise focusing. This sensor is paired with an updated BIONZ X image processor and front-end LSI, which dramatically improve the speed and throughput of the entire imaging system, enabling continuous shooting with AF/AE at up to 24 fps. An expanded buffer makes continuous shooting possible for longer bursts, up to 233 JPEGs. The front-end LSI and enhanced sensor performance also improve overall image quality, especially at higher sensitivities, by reducing noise and offering higher perceived resolution and color definition. Spanning an impressive 24-200mm equivalent range, the integrated ZEISS Vario-Sonnar T* lens suits photographing in a wide range of situations. Now covering wide-angle to mid-telephoto, the updated zoom range affords greater shooting versatility while still retaining a compact form factor due to the f/2.8-4.5 maximum aperture range. 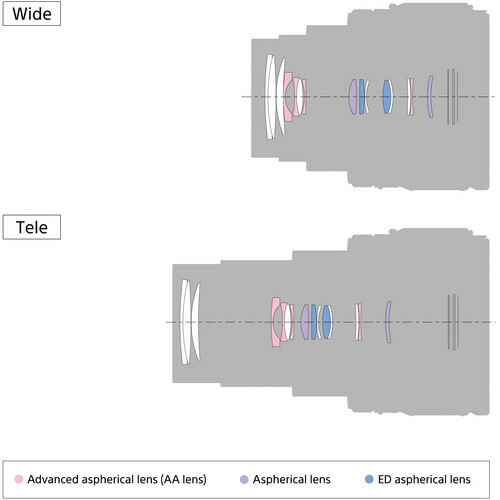 The optical design incorporates eight aspherical elements, including four advanced aspherical (AA) elements, to greatly reduce aberrations and distortions in order to achieve high sharpness and accurate rendering. A ZEISS T* anti-reflective coating has also been applied to suppress reflections and glare for improved contrast and color fidelity. The flexible reach is complemented by four stop-effective Optical SteadyShot image stabilization, which minimizes the appearance of camera shake to suit handheld shooting in low-light conditions. Additionally, Clear Image Zoom can also be used to further extend the effective reach of the zoom with nearly no image degradation. The RX100 VI is equipped with an on-sensor phase-detection AF system that dramatically improves autofocus speed for both stills and video. The camera uses a hybrid system with 315 phase-detection points that cover approximately 65% of the frame along with a contrast-detection system to provide fast, accurate focusing in a range of situations. 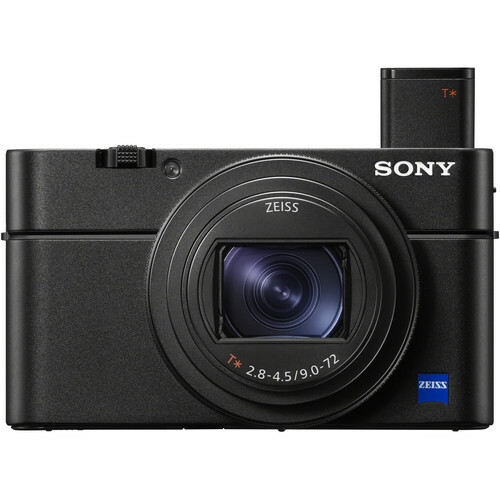 The RX100 VI is able to lock onto subjects quickly, in just 0.03 seconds, and it can use AF tracking when shooting at 24 fps. In order to make operation seamless, an accelerated display system offers reduced blackout for easier tracking when using either the EVF or LCD. Furthermore, an AF-A mode is available, which will allow the camera to automatically switch from AF-S and AF-C mode as the situation needs. Users can also display the phase-detection area to help users focus on their subject. 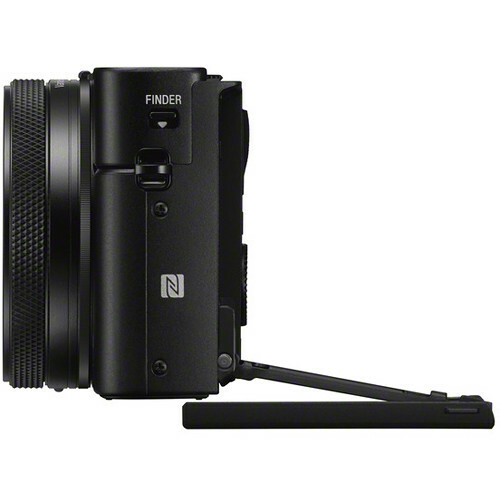 Able to record UHD 4K video at 30/24 fps, the RX100 VI, is capable of producing movies with exceptional clarity. By using a full pixel readout without binning, the camera collects about 1.7x the information needed for 4K output. This oversampling helps to increase clarity while reducing the impact of moiré and jaggies. Fast Hybrid AF is available during movie shooting for ensuring accurate, fast tracking using phase-detection AF points. 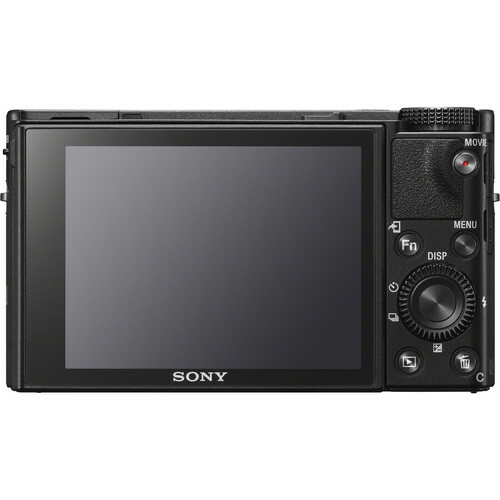 The camera also offers Sony's advanced XAVC S format for recording a high bit rates up to 100 Mb/s. In addition to high-resolution internal recording, uncompressed HDMI output also enables the use of an optional external recorder for clean 4K recording with 4:2:2 sampling. Affording extensive customizable color and gamma controls, the RX100 VI allows users to adjust the gamma, black level, knee, color level, and more. Also, users can use the same S-Log2 Gamma Curve that is found on high-end Sony Cinema cameras that squeezes up to 1300% more dynamic range into the video signal then traditional REC709, for increased post-production flexibility. HLG (Hybrid Log-Gamma) support is also available, along with the BT.2020 color space, for recording within a wide color gamut and, in addition to S-Log2, S-Log3 is also available for producing an effective 14-stop dynamic range with increased grading control in the shadow to mid-tone regions of the image. Speed is also a huge advantage of the RX100 VI, and, in video, users will benefit from advanced High Frame Rate shooting and super slow motion. In Full HD, shooters will have access to a standard 120 fps setting that will enable outstanding slow motion when placed in editing software. In addition to this, the camera also offers a dedicated HFR mode that boosts the camera's frame rate to up to 960 fps. A Photo Capture function is built directly into the camera, allowing shooters to quickly save an 8.29MP still from their UHD 4K movies. Full HD can also benefit from this feature, where users will be able to pull a 2MP still. Additionally, the camera is NTSC/PAL switchable, making it usable around the world. Rear 3.0" 921.6k-dot tilting LCD now features a touchscreen design for intuitive operation, including the ability for working with Touch Focus, Touch Pad AF, and Touch Shutter functions. The screen's tilting design, which goes from 180° upward to 90° downward, also suits photographing from high, low, and front-facing angles. Pop-up 0.39" XGA OLED electronic viewfinder offers a resolution of 2.36m dots for crisp, clear imagery. The EVF also uses a ZEISS T* coating, to ensure clarity from corner to corner, and has a one-push access design for more convenient switching between the LCD and EVF. A manual control ring surrounds the lens and features a smooth, click-less design for quick and quiet changing of settings. The ring can be assigned to control a variety of features, at different values, including zoom and aperture. Custom button and other programmable button can be set to one of over 40 functions for quick access to commonly used settings. Pop-up flash will help illuminate subjects in dimly-lit scenes. Built-in Wi-Fi connectivity enables instant transferring of imagery to mobile devices for direct sharing online to social networking, via email, and to cloud storage sites. NFC (Near Field Communication) is also supported, which allows for one-touch connection between the camera and compatible mobile devices, with no complex set-up required. Once connected, the linked mobile device can also display a live view image on its screen and, using Smart Remote Control, remotely control the camera's shutter release. Additionally, connection to a smartphone using a QR code is also possible. Bluetooth connectivity, via the PlayMemories Mobile app, also allows you to embed location information into both stills and movie files for geotagging. Anti-Distortion electronic shutter can enable completely silent shooting as well as the ability to work at shutter speeds as fast as 1/32000 second. This shutter also keeps rolling shutter effects to an absolute minimum and enables photographers to work in bright light with wider apertures. The Fn menu can be accessed and edited immediately after continuous shooting, while data writing is still in progress. File name setting allows users to change the first three characters of the file name from DSC to three characters of their choice. Additionally, images shot in continuous mode can also be displayed, reviewed, and deleted in the groups they were shot for faster operation. Step Zoom lets you quickly change between five common focal lengths (24, 28, 35, 50, or 70mm) by rotating the control ring. Eye AF in AF-C mode will lock on and tack a subject's eye, even as the face moves. Users can set a minimum shutter speed when using ISO AUTO to help minimize shutter blur. Creative Style settings: Standard, Vivid, Neutral, Clear, Deep, Light, Portrait, Landscape, Sunset, Night Scene, Autumn Leaves, Black & White, Sepia, and Style Box. Picture Effect modes: Toy Camera, Pop Color, Posterization, Retro Photo, Soft High-Key, Partial Color, High Contrast Mono, Soft Focus, HDR Painting, Richtone Monochrome, Miniature, Watercolor, and Illustration. Picture Profile parameters: Black Level, Gamma (Movie, Still, Cine1-2, ITU709, ITU709 [800%], S-Log2, S-Log3, HLG, HLG1, HLG2, HLG3), Black Gamma, Knee, Color Mode, Saturation, Color Depth, Color Phase, Detail, Copy and Reset.